1466 Campbell Lane, Des Plaines. In 1975, a grisly discovery was made behind this Sears Langston in Des Plaines. Campbell Lane is a quiet, suburban residential street. At 12:40 a.m. on June 16, a resident heard a "thumping noise" in the alley, but didn't see anything. At 1 a.m. another neighbor discovered a dead body wrapped in a bedspread and called police. Daily Herald photo of the alley. The victim was estimated to be in her late teens, and she was shot through the head. There was no identification found on the young woman and no murder weapon was found. Police believed that the woman was killed elsewhere and dumped in Des Plaines. Months went by, and no one reported the young woman missing. It took the police one-and-a-half years to solve the case. Following a tip from an informant, Milwaukee police identified the victim as Patricia Davis, 17, of Milwaukee. Her boyfriend, 24-year-old Ray Smith, shot her in the head and then disposed of the body. No one even noticed Patricia was missing because she was often shuffled from foster home to foster home. She was the mother of an infant. The Des Plaines police had sent descriptions of the victim to police departments all over the United States. Milwaukee police kept the bulletin and were able to connect the victim's description to their case, since the informant told them the victim was dumped in Illinois. In December 1976, Des Plaines police lieutenant Lee Alfano told reporters: "I've got the best Christmas present of all. My one unsolved murder is solved." Little did Lieutenant Alfano know what was heading his way. In 1978, Alfano was promoted to chief of police, and was soon confronted with the John Wayne Gacy serial killer case, which began when Des Plaines teen Robert Piest vanished from the pharmacy where he worked. 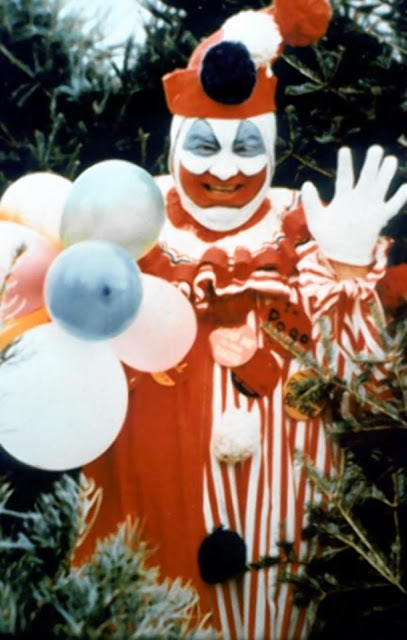 Piest's disappearance launched the investigation into Gacy, who was ultimately convicted of torturing and killing 33 boys. Four of Gacy's victims remain unidentified as of this writing. Everyone have a safe Halloween. I can't unsee that clown photo; thanks for the nightmares that will follow! 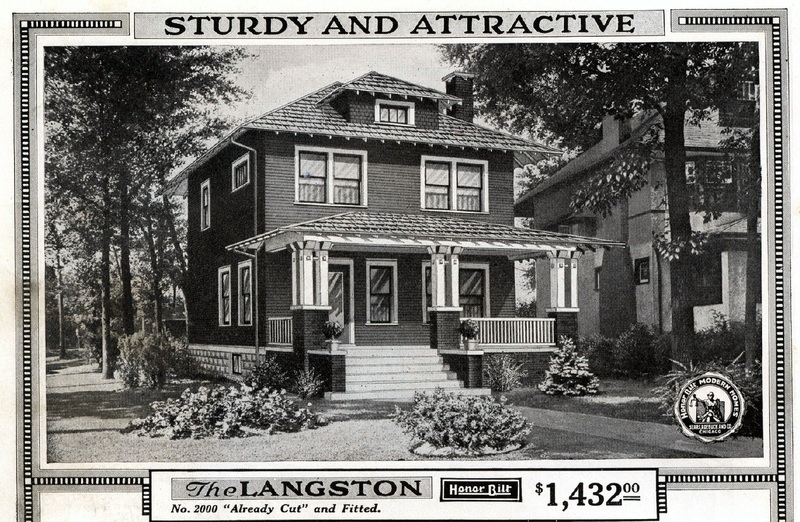 While not as grisly as the discovery in the alley, the mutilated and enclosed front porch is another kind of horrific... this Langston went from "Sturdy and Attractive" to Compromised and Nondescript. Happy Halloween! Yes, Des Plaines has dozens of Sears homes and many of them are nondescript.